I was so honored when one of my dear friends asked me to be a bridesmaid for her wedding. 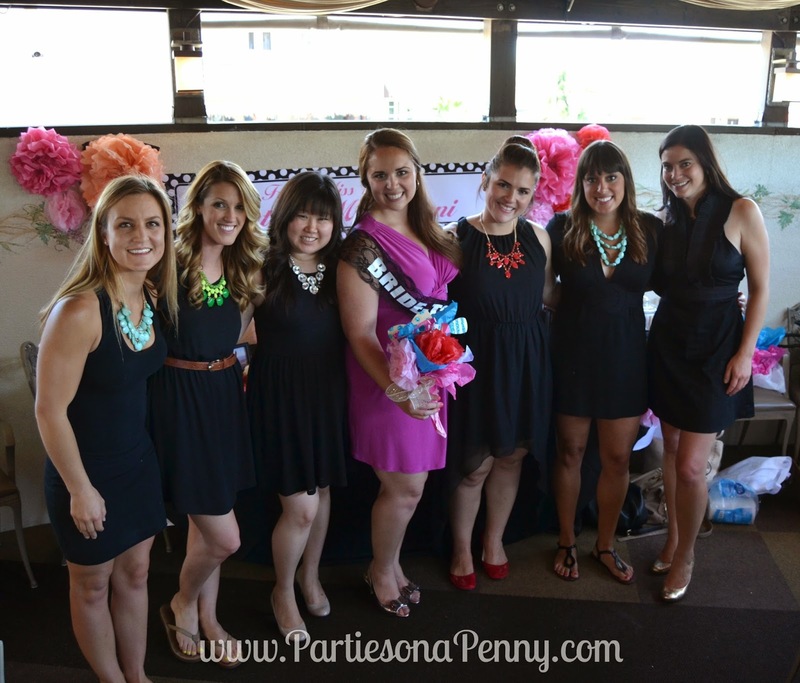 When it came for us bridesmaids to choose a theme for her Southern Californian bridal shower, we unanimously decided on a Kate Spade theme as Val (the bride to be) loves and owns several Kate Spade accessories. 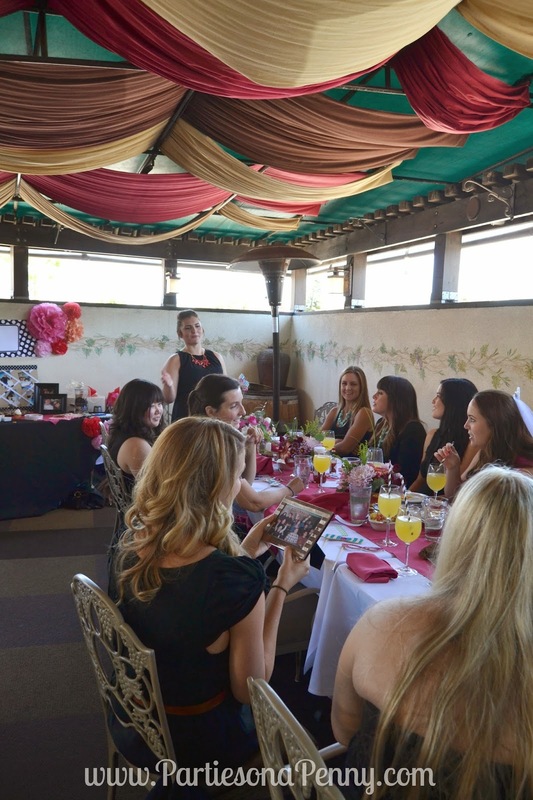 We hosted the shower at a restaurant in San Diego who also took care of catering brunch. For the shower, I was in charge of set up and decorations. 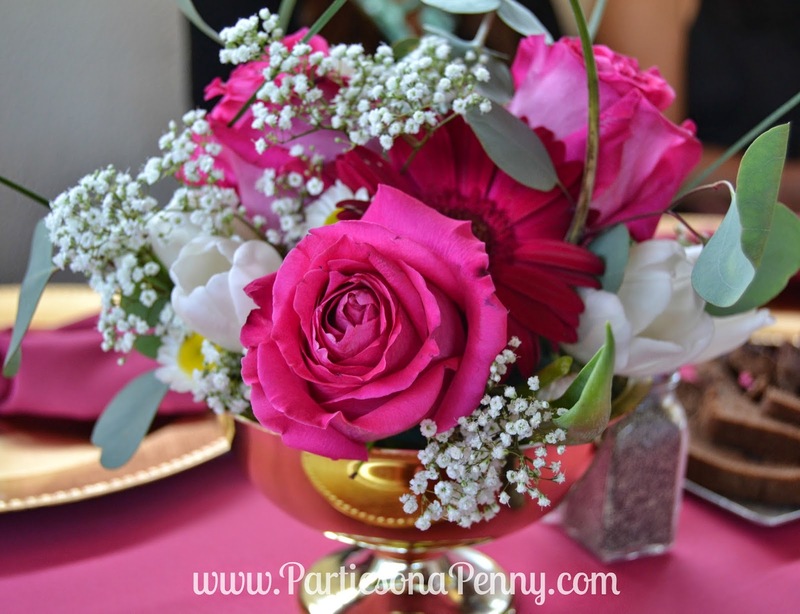 For the tablescape, I wanted a lot of bright colors and different patterns to go along with the Kate Spade theme. 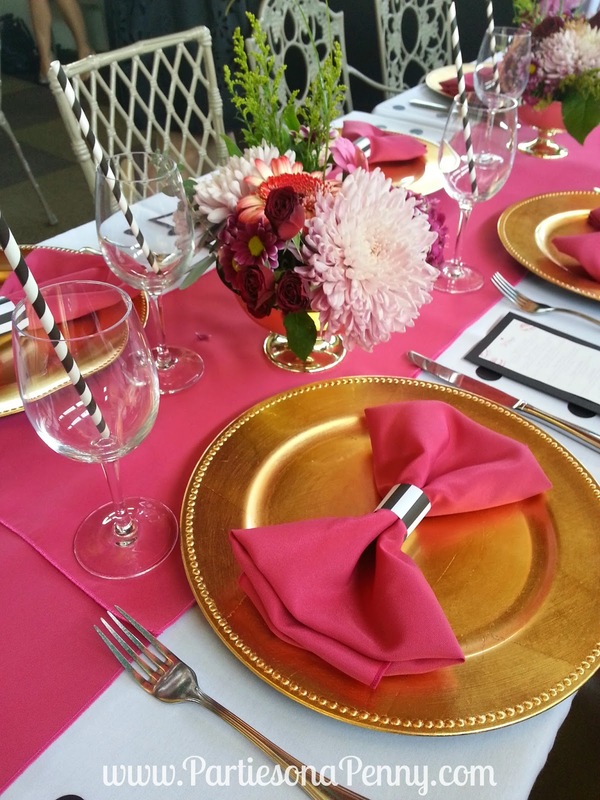 I rented hot pink table runners ($4 ea) and linen napkins ($0.70 ea) from a local party rental company. 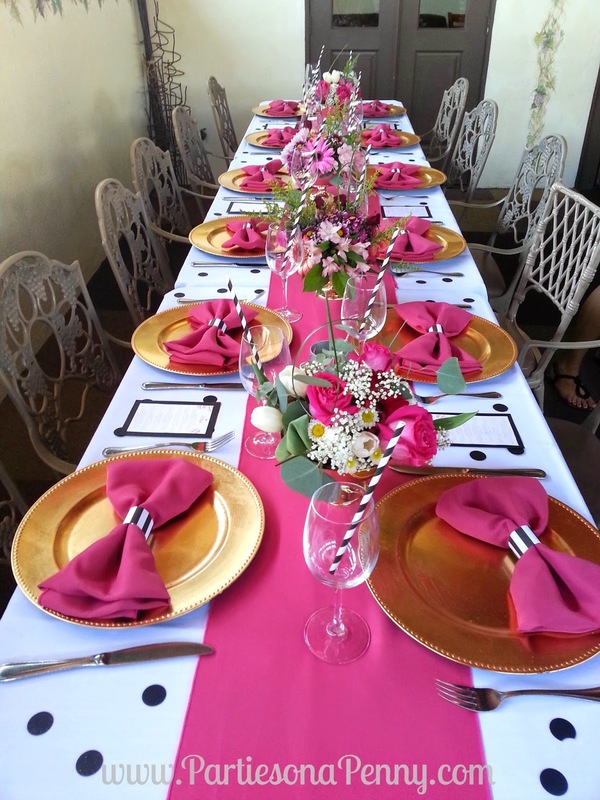 To create a subtle polka dot pattern on the white table linen, I dispersed punched out black circles. 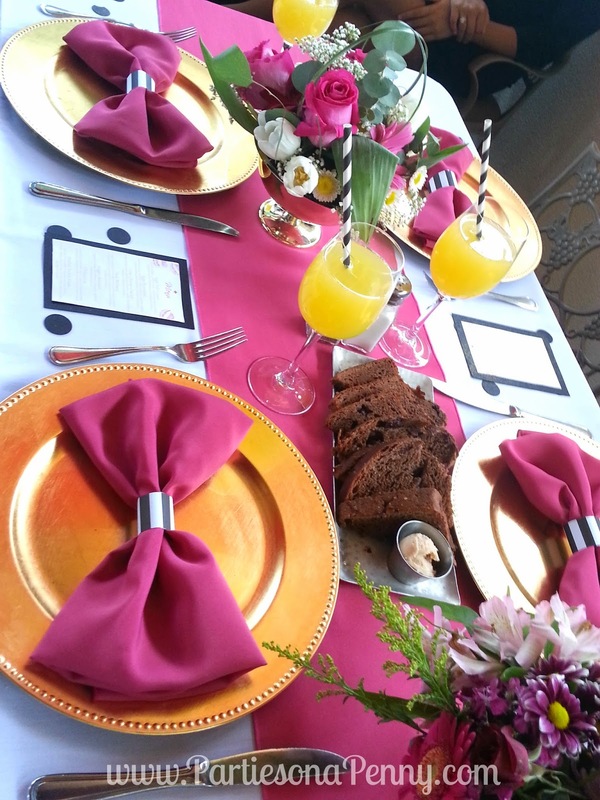 For the place settings, I used my gold chargers which I have used multiple times for several events (definitely got my money's worth). To create the napkin bow, I used this video tutorial as a guide but played around with the napkin to create the look I wanted. Instead of using a ribbon to seal the bow, I cut up striped scrapbook paper and secured it with tape. These floral centerpieces were created using flower bouquets from Trader Joes, wet oasis (that green foam stuff to hold the flowers together) and plastic gold vases from a local event supply warehouse (which I got for only $2 ea). 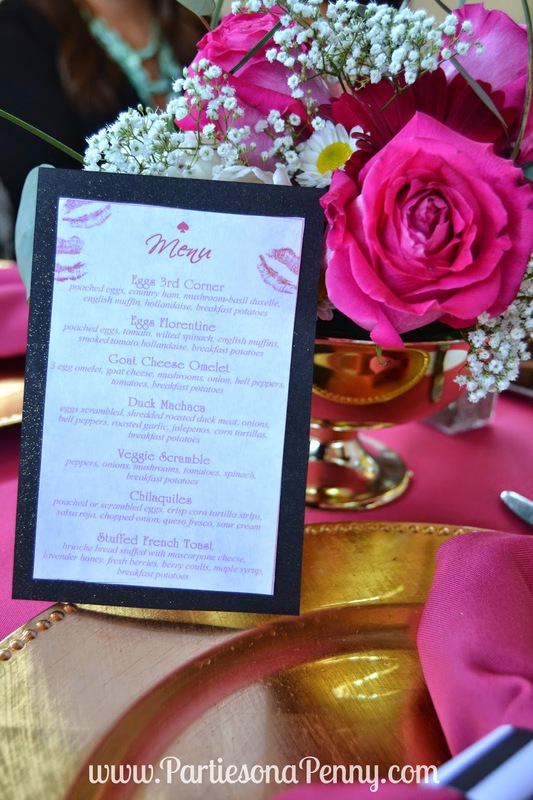 Menu designed to match the theme! For the dessert table, the banner was created by Party City for $15 and I made the tissue paper pom poms to bring in bright colors. We had simple desserts: cupcakes, truffles, M & Ms, and European cookies/biscuits and served them on festive dishes. 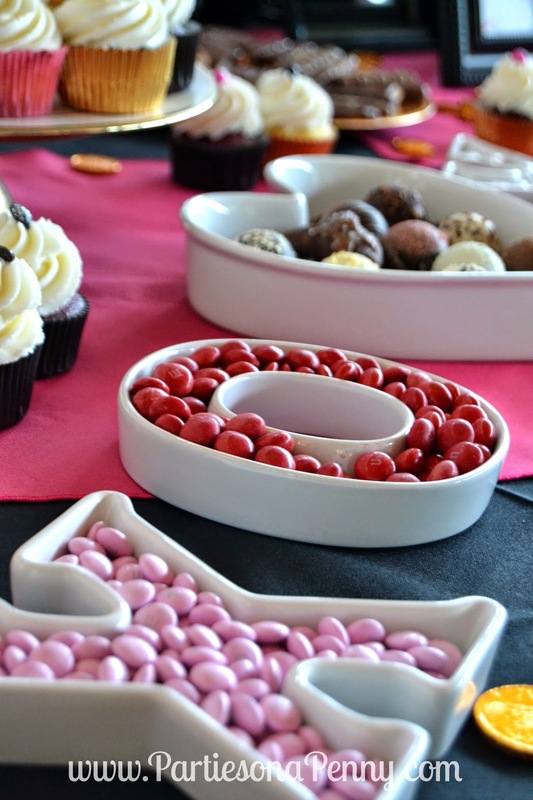 These candy dishes are great for displaying M & Ms. The bride to be + her bridesmaids! All the bridesmaids and guests wore little black dresses and we had the bride-to-be wear pink. 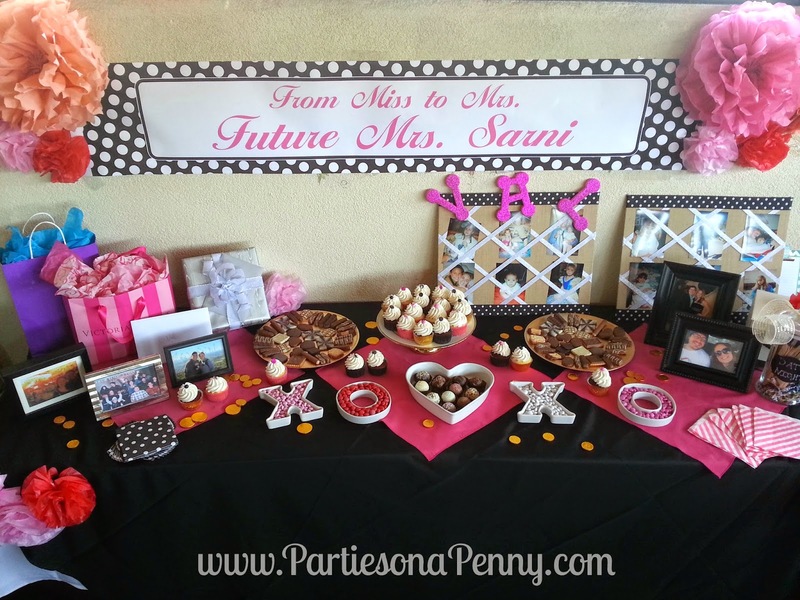 What a lovely bridal shower, everything look so lovely and elegant. I love that you did not go over the top as some people tend to on bridal showers. Hope you had a good time, looking forward to more posts.